How Do I Measure a Screen Door? This page is designed to assist you in measuring for sliding screen doors. While we will assist you, the final measurements will be your responsibility. The simplest way of measuring for your new sliding screen door is to measure your existing door. Measure to provide the width and length of the overall frame. How Do I Measure for a Screen Door, If I Don’t Have One? If you do not have a sliding screen door to measure and you live in an apartment or tract housing you may be able to measure a screen from your neighbor who has the same door size. 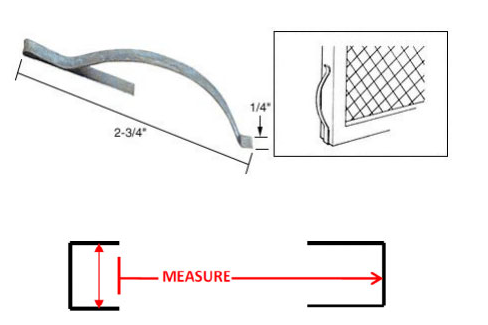 If you do not have a door to measure here are the two most common track set ups. Option A: Measure from tip of track to tip of track and add ⅛ of an inch to overall height. Option B: Measure from top of bottom track up ¼ inch into the top U Channel. We also sell sliding screen door tracking if you do not have tracks. Please refer to our sliding screen door track. Please keep in mind we ask for ⅛ inch tolerance when manufacturing sliding screen doors. There are rollers on the top and bottom of the door frame that can be adjusted with adjustment screws to help you install the door for a perfect fit. 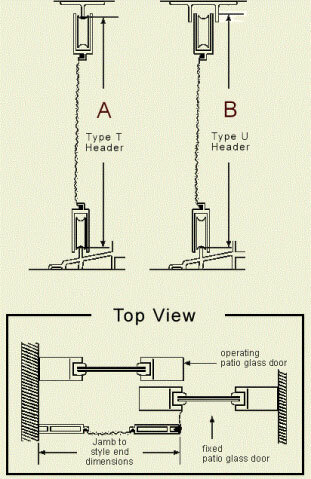 See complete instructions available for measuring for retractable screen doors on our Retractable Screen Door FAQ page. 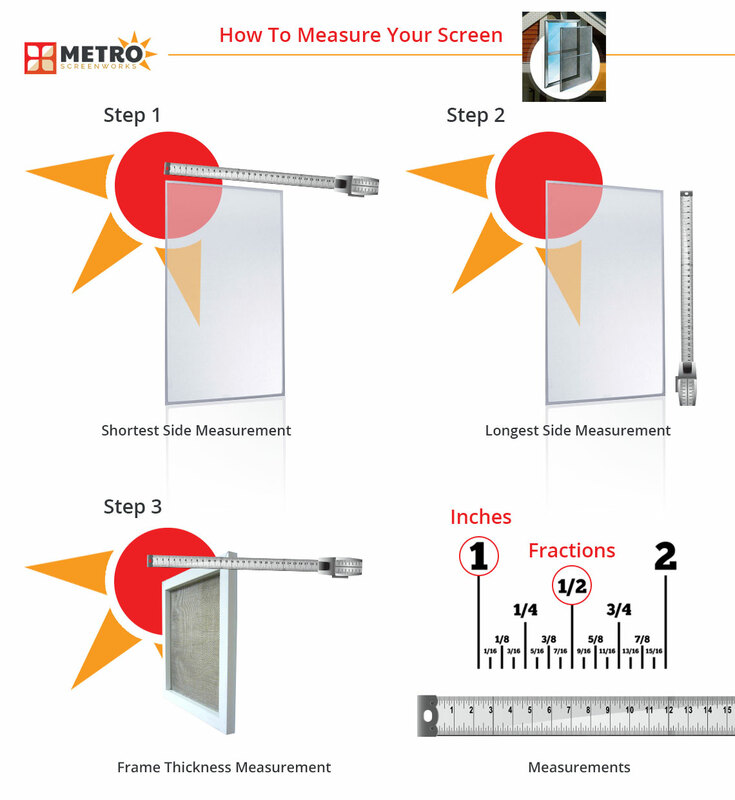 If you need assistance with measuring for any of our window screen or sliding screen door products please contact us or call Metro Screenworks’ toll free number 1-800-413-2579 or 303-922-8998.